About Logan Marine… Dock Solid. It is no secret that the weather in Wilmington NC region can wreak havoc. However, you shouldn’t have to rebuild your dock every time there is a severe storm. Our primary company goal is to design and build structurally sound marine projects that are pleasing to the eye and able to resist the severe weather that is so common in southeastern North Carolina. Logan Marine provides marine construction services with a focus on: pile driving, bulkheads, floating docks, piers, gazebos and boat lifts. David Logan started his building career as a carpenter’s helper in the winter of 1996. Building custom homes in Wilmington, NC areas such as Landfall, Porters Neck, Figure Eight Island and Wrightsville Beach, he gained an eye for quality and an attention to detail that only this kind of experience can provide. In 2001, David started in business as a residential framing contractor and never looked back. With over 45,000 hours of experience he has accumulated skills and techniques in all different facets of construction including estimating, scheduling, purchasing, municipal requirements, site preparation, utilities, plot plans & surveying, footings, foundations, stick built framing, exquisite trim works & finishes, multi-million dollar project management and the list could go on. Building 100+ decks and docks, 200+ new homes , over 400 framing projects, and many other various projects… David Logan knows building, inside & out! 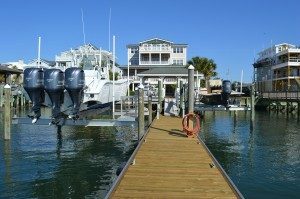 In 2013, out of a love for being on the water and a passion for building, he formed Logan Marine LLC to focus on marine construction projects including: pile driving, bulkheads, floating docks, piers, gazebos and boat lifts. Honesty and Integrity: Do the right thing because it's right. Hard Work and Smart Work: Excellence will be rewarded. Solutions and Results: Make it happen. We realize what it takes to acquire your trust, what it takes to give you the results you demand and what's necessary to eliminate many of the headaches and frustrations that are peculiar to marine construction projects. Looking for a professional marine contractor in the Wilmington area and like to schedule an onsite review of your project please call us at: 910.367.1348 .